Apple recently announced a new line of products, headlined by the iphone X. It was presented with new features, some of which we have seen before. The new features such as facial recognition, a bigger screen, and an improved camera make the X very desirable, however, many of these features have been around on other phones for months, and some even years. “The new iPhone X looks breathtaking, but I can’t imagine handing over $1,000 for a new phone when mine works perfectly fine,” said senior Eli Agus. For starters, the OLED or “super retina display”, was first introduced on Samsung’s Galaxy Round smartphone in October of 2013. Facial recognition is on Samsung’s newest model, the Galaxy S8, and wireless charging has been included in a variety of phones since 2016. The only real new technology that Apple has developed is the animoji – a feature that takes advantage of the new facial recognition software and allows users to have an emoji like figure mimic their face. Apple has consistently arrived late in the scene of new technology such as fingerprint scanning, water resistance, force touch, as well as various camera features yet they still a leading technology brand in the world. If Apple always arrives late to the scene with emerging technology, the question is why is everybody so loyal to them and blown away by their products? 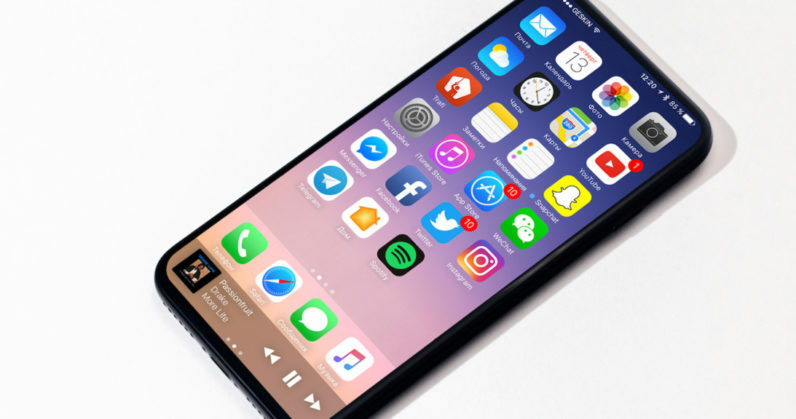 “I don’t get why everybody is making such a big deal about the Iphone X. I’ll admit that it looks pretty cool, but other companies like Samsung have these features already, and the technology is much better executed,” said senior Dan Polykoff. The main reason to this answer, is that Apple consistently masters these new technologies such as touch ID or force touch and utilizes these features very well throughout their products. On top of this, since Apple built a loyal consumer base from the start, many people have had iPhones, are used to them, and do not want to go through the inconvenience of adapting to and learning a brand new interface. Senior Chase Waxman, a loyal iPhone owner, said that when he saw the new Iphone, he immediately wanted it. “The bigger screen, improved camera, and facial recognition technology look incredible. I also really think that these technologies will be strategically put throughout the X, as they always are,” he said. On top of the loyal consumers, people do not want to make the switch from fear of being excluded from entirely apple features, including group messages and Facetime. “I’m in a bunch of different group chats with my friends and I have no clue how I would communicate with them all together if I was an Android user” said senior Matty Yeomans. Sophomore Michael Baur says, the new iphone looks cool but “I just can’t see many people spending that much money on it”.